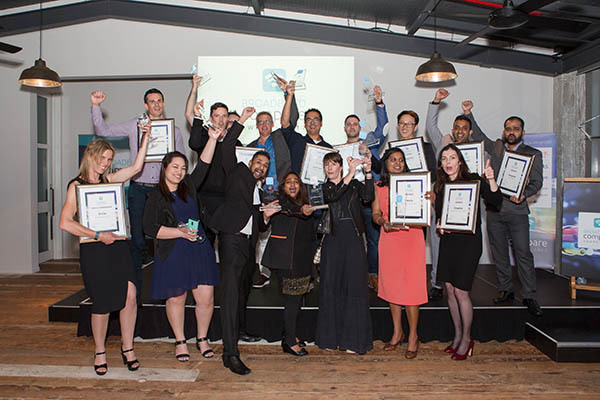 The inaugural Broadband Compare Awards ceremony, held last night at The Sapphire Room in Auckland saw Slingshot walk away as the big winner. Slingshot took home three gongs on the evening with awards for Best Bundled Plan, Consumer NZ Broadband Provider of the Year and the Broadband Compare People’s Choice Award. The awards, supported by Consumer NZ, New Zealand’s trusted source of independent consumer information, covered eleven different categories across the broadband sector including Best Fibre Provider, Best Rural Broadband Provider, Best Gaming Broadband Provider and Best Regional ISP. More than 20 different internet providers made up the finalists across the various categories ranging from prominent and well-known brands through to smaller regional and specialist internet providers. Other winners on the night included Stuff Fibre, MyRepublic and NOW.